President Trump will sign sweeping executive orders Tuesday that take aim at a number of his predecessor's climate policies. The wide-ranging orders and accompanying memorandums will seek to undo the centerpiece of former President Obama's environmental legacy and national efforts to address climate change. It could also jeopardize America's current role in international efforts to confront climate change. A senior White House official says the goal is to make the U.S. energy-independent and to get the Environmental Protection Agency back to its core mission of maintaining clean air and water. In a symbolic gesture, the president is expected to sign the documents at EPA headquarters. The major regulation targeted by the executive order will be the Clean Power Plan, Obama's signature climate measure that restricts greenhouse gas emissions from coal-fired power plants. "In taking a sledgehammer to U.S. climate action, the administration will push the country backward, making it harder and more expensive to reduce emissions," said Andrew Steer, president and CEO of the World Resources Institute, in a statement. "Climate science is clear and unwavering: mounting greenhouse gas emissions are warming our planet, putting people and business in harm's way." Some energy companies are celebrating the anticipated move. Trump is expected to be accompanied by energy executives when he signs the order. In a written statement, American Petroleum Institute president and CEO Jack Gerard said, "We look forward to working with the Trump administration and Congress on forward-looking energy policies that will help ensure the United States continues leading the world in the production and refining of oil and natural gas, and in the reduction of carbon emissions." The current head of the EPA, former Oklahoma Attorney General Scott Pruitt, is a longtime critic of environmental regulation. Earlier this month Pruitt said carbon dioxide is not a primary contributor to climate change, rejecting established science. Before becoming EPA administrator, Pruitt joined dozens of other state attorneys general who sued the agency to halt the Clean Power Plan. While some of the policies that Trump is targeting will be easy to overturn, the Clean Power Plan could prove more complicated. Environmental law experts say it could take the administration years to fully undo it. The Clean Power Plan is a set of national standards that are designed to slow human-caused climate change by limiting carbon pollution from power plants. The power sector accounts for almost 40 percent of the country's carbon dioxide emissions. The Clean Power Plan would cut those emissions and carbon pollution 32 percent below 2005 levels by the year 2030. When he introduced it in 2015, Obama called the Clean Power Plan "the single most important step America has ever taken in the fight against climate change." It's the centerpiece of the U.S. commitment to the Paris climate agreement. Donald Trump and Republicans though, have called the plan a "job-killer" and have pledged to kill it instead. The senior White House official said today's executive orders do not address the Paris climate deal. "Whether we stay in or out is still under discussion." Trump's executive orders kick off a rule-making process with the goal of ending the Clean Power Plan. But they won't end the policy outright, nor do they say how his administration will get rid of it, and the devil may be in the details. Any effort to repeal the rule could prove lengthy, difficult and fraught with litigation. 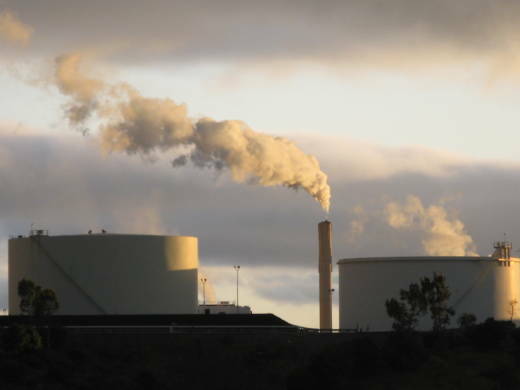 "Once you have something like the Clean Power Plan -- a final rule-making -- then that can't be withdrawn using any process other than the one that was used to create it," says Nathan Richardson, a visiting fellow at Resources for the Future. That means notices, public comment and a rule-making procedure that could take years. The Trump administration has time. Currently, the Clean Power Plan is held up in federal court after lawsuits from industry groups and states challenged its legality. A ruling could be months away and any decision -- for or against the plan -- will likely be appealed to the U.S. Supreme Court. Congress could also step in and amend the Clean Air Act to say the EPA shouldn't regulate greenhouse gases, nullifying the Clean Power Plan, but that could prove politically challenging. The Obama administration placed a moratorium on new coal leases on federal lands in January 2016, citing concerns over pricing and pollution. During the estimated three-year hold on leasing, the Department of the Interior said it was going to review the country's coal-leasing program to make sure it was providing "a fair return to taxpayers and reflect its impacts on the environment, while continuing to help meet our energy needs." Federal lands account for roughly 40 percent of all U.S. coal production. Hundreds of millions of tons of coal are mined on federal lands every year, generating nearly $1.3 billion for the government in 2015. Environmental groups say that money doesn't offset the societal costs of pollution from coal mining and consumption. Burning coal is a leading cause of carbon dioxide emissions. Trump's order to lift the moratorium should take immediate effect, allowing the Bureau of Land Management to issue new coal leases on federal lands. But it's not at all clear there will be any immediate rush for new leases. "Coal production fell in 2016," says Robert Godby, director of the Center for Energy Economics and Public Policy at the University of Wyoming. In fact, it's fallen for several years as utilities have switched to cheaper natural gas. That means existing coal reserves have grown bigger. "The coal market is so weak," Godby says, "and some companies are coming out of bankruptcy." He says they simply don't have the cash to make the enormous investment required to lease federal land for future coal production. Godby says the decline in coal leasing -- and the loss of hundreds of millions of dollars a year in royalties -- has been painful for Wyoming. The state had been using the money to build new schools, but is now facing a large budget deficit. The "social cost of carbon" is another Obama-era policy that directed government agencies to factor in the effects of climate change on their rule-making. It essentially put a price tag on carbon emissions and told agencies to factor that price tag in when making a regulation. The current cost is $36 per metric ton. Trump is expected to try to neuter the policy by directing the EPA to lower that cost to the point where it won't have much weight in policy-making. An all-out elimination of the cost would likely have left the administration with weaker legal standing should it be challenged in court. The Trump administration is aiming to cut federal climate change efforts across government. Trump's budget called for steep cuts to climate change research, domestic programs to combat climate change and funding for international climate efforts. Mick Mulvaney, director of the Office of Management and Budget, has told reporters that federal funding to fight climate change is "a waste of your money."